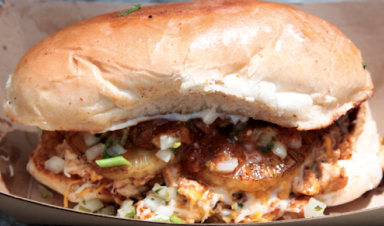 Food trucks are the hip new foodie trend in Los Angeles. I was ambivalent about exploring this aspect of the food world because I love the experience of a sit down restaurant meal. The thought of driving to a parked truck and standing around eating food seemed to lack ambiance. 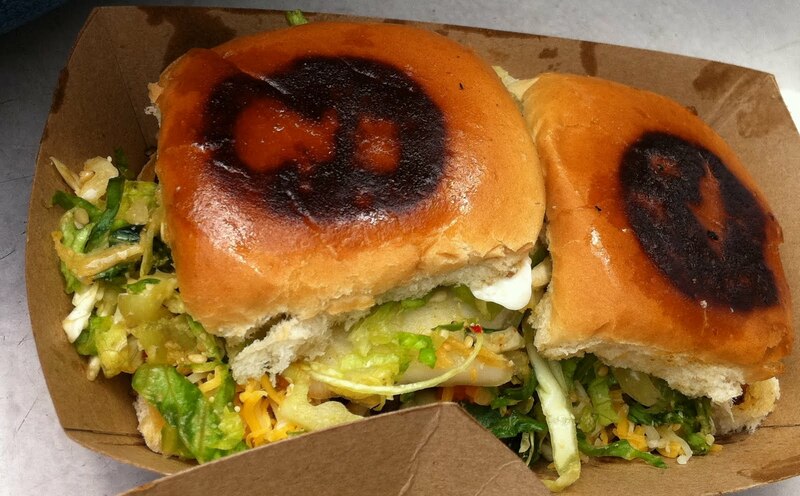 Kogi BBQ, ranked one of the top ten gourmet food trucks in Los Angeles, proved me wrong. Not only do they serve delicious Korean/Mexican dishes, but I actually loved the atmosphere and community feel of standing around eating high quality food. There are no strings attached, the focus really is on the food, and the experience feels so LA. 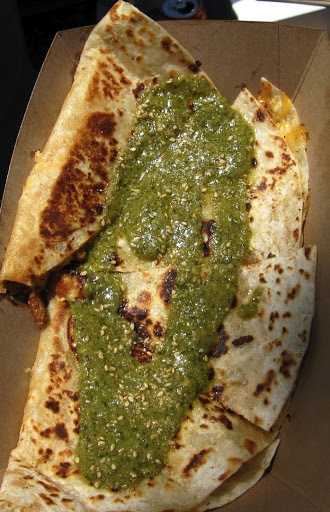 Kogi BBQ has become my post-long run tradition. 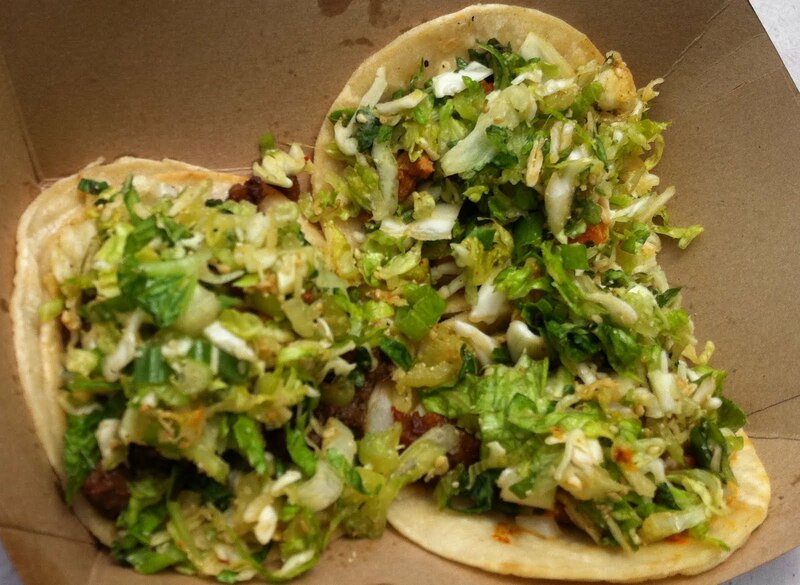 There is nothing more satisfying than sliders, quesadillas and tacos after logging miles on the beach. 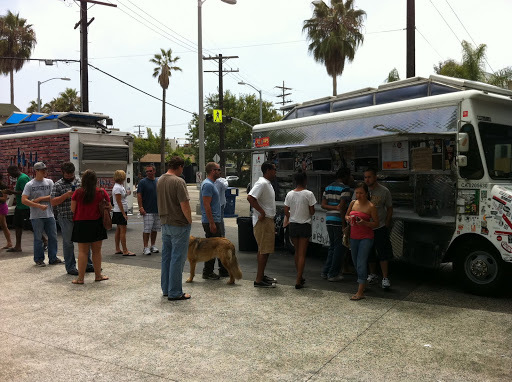 Below are a few photos of our recent visit on Abbot Kinney Drive. This entry was posted in Restaurant Reviews. Bookmark the permalink. Do the trucks play a song like an ice cream truck? And I cant WAIT to go with you next time!